Ringwood Secondary College (RSC) values the contribution of enquiring students, dedicated staff and supportive families. We are motivated by the excitement of student achievement and innovation. RSC is a vibrant learning community that celebrates achievement and recognises the unique learning needs of each individual. Students are encouraged, challenged and inspired to achieve their personal best. Student needs are a priority and we offer VCE, VET and VCAL studies to our senior students. Year 9 students participate in the program CHALLEN9E, which is directed to themes of courage, tolerance and respect and involves a resilience camp. The ACE program for high-ability students in Years 7 to 9 was implemented in Year 7 in 2016. All students access mobile learning devices, with laptops and iPads supporting their learning. RSC has an extensive co-curricular program. Musical choices include bands and ensembles, singing groups, orchestra, and junior and senior musical productions. Other options include over 20 sports, performing arts tours, debating, Tournament of Minds, Youth in Philanthropy, United Youth Media, a bike tour, the debutante ball, peer support, study groups and community service. Student voice is nurtured through student leadership roles in the junior and senior Student Representative Council, ambassadors, year-level leaders and prefects. A pastoral care model ‘Bounce’, based on the tenets of Positive Education, has been implemented, with the curriculum explicitly teaching students in every year level, the skills of wellbeing. The college has a complementary house system to further enhance a sense of belonging that we foster in our students. The annual Year 10 central Australia tour is a highlight for our students that fosters positive relationships. The annual bike tour for students in Year 9 or 10, provides an energetic event for middle school students and staff. The diversity of college excursions and incursions provides an integrated range of events aiming to build a community of students interested in the wider world. International tours provide the opportunity to experience new cultures. Tours include the triennial Performing Arts World Tour through seven countries, plus other tours to Nepal, Greece/Italy/France the Odyssey tour, New Caledonia and Thailand. The college also accepts fee-paying and exchange students and has sister schools in England, China and Thailand. We are proud of our parent involvement with the College Council and its sub-committees: PCTA, Music Association, Extra PArts and the Heritage and Alumni Group. Our Sporting Hall of Fame, Science Hall of Excellence and Arts Hall of Achievement are complemented by the Heritage Hall of Fame, in recognising present and past student achievement. Our bollards, quilts, murals, sculptures and ‘Ringwood Recalls’ reflect the school’s spirit. Ringwood Secondary College believes in inclusion, working collaboratively and encourages all students to think creatively, act compassionately and engage enthusiastically to achieve their personal best. 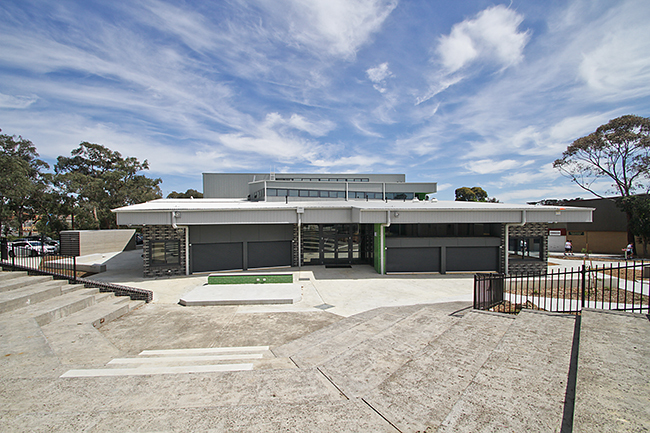 Ringwood Secondary College invites you and your family to discover our school, to meet our teachers and students, learn about our exceptional approach to teaching and learning, and explore our natural environment. Please visit our website for our open night information and tour dates.